In Macau, HTHKH provides 4G LTE, 3G and GSM dual-band mobile telecommunications services under the 3 brand through Hutchison Telecom Macau which was incorporated in late 2000. Hutchison Telecom Macau launched GSM dual-band services in August 2001 and 3G services in October 2007. December 2015 saw launch of 4G LTE service and December 2016 saw full 4G LTE coverage serving all major hotels, casinos, business districts and other busy locations. 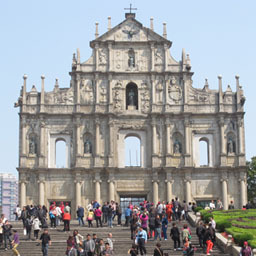 Our business in Macau benefits from the significant cross-border visitor traffic from Hong Kong and mainland China. Hutchison Telecom Macau provides a wide variety of mobile services under the 3 brand. Voice services include local, IDD and international roaming. In addition, utilising advanced technologies, the data services offer customers wireless Internet access, international MMS and SMS, as well as downloadable infotainment. 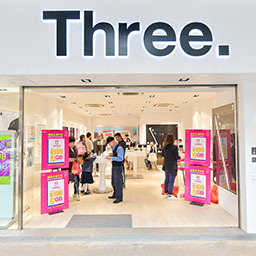 To find out more or subscribe to Hutchison Telecom Macau's mobile services, please visit www.three.com.mo.